BioFill offers the absolute best in product protection. 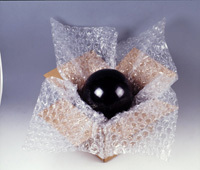 The suberb shock absorbing characteristics will ensure that your products will be protected against any unwanted damage that occurs in-transit. 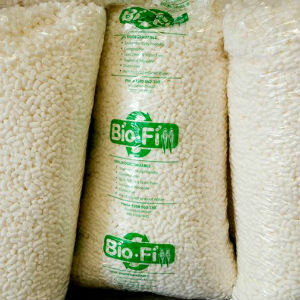 BioFill loosefill packaging material is made from Australian wheat starch and is extruded into small peanut shaped pellets, ideally suited for filling empty spaces within cartons and provides superior protection. • Made from Natural Starch. • Dust, odour and static free. 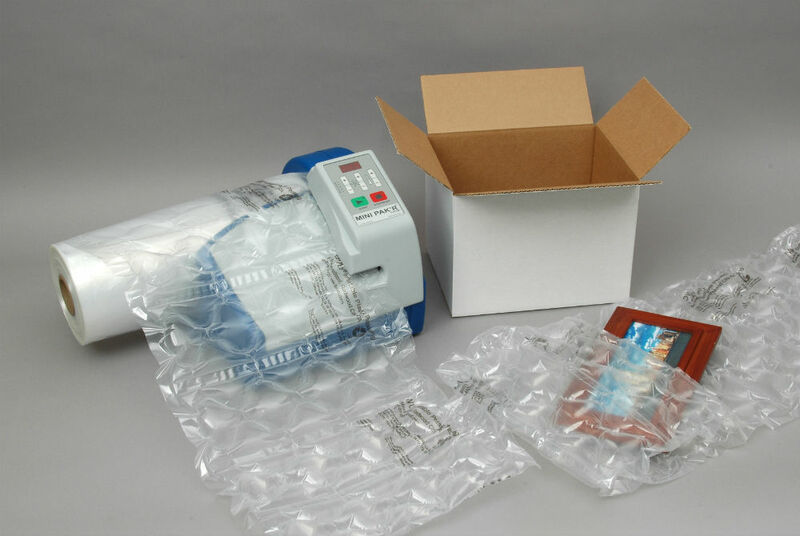 The space-saving MiniPak’R air cushion machine is a fantastic alternative to packing peanuts and is an important peice of equipment for any warehouse, small business or despatch environment. The MiniPak’R provides instant protective packaging and makes bubble air cushions for wrapping and void fill solutions. No need to store large bags of fill anymore, just create as many pillows as your job requires. MiniPak’R helps you save a significant amount of time that can be used for other productive strategies aimed at expanding your business operations. Please contact us for pricing or for more information. This void fill product is produced from our 32mm super cell bubble profile and comes in rolls sizes of 1500mm wide by 75 metres in length. For ease of application each roll is slit down to 300mm, therefore yielding 5 rolls of 300mm rolls. Each of these rolls is perforated every 300mm. This created convenient sized sheets perfect for void fill situations. P32 is a no mess solution for filling void. P32 VoidFill is an excellent solution for protecting your valuable products and where extra space needs to be filled inside your packing carton.